Windows 10 has improved the look and feel of the taskbar for better. It has a bit of transparency and with added blur effect to make things a bit smoother and eye candy. 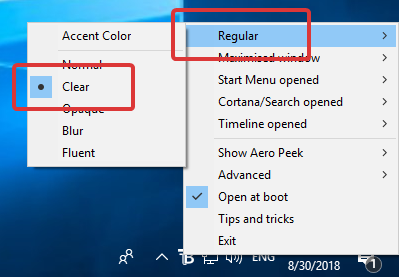 In fact, the taskbar color changes according to the accent color, if configured. If you want to, you can either increase the taskbar transparency or make the Windows 10 taskbar completely transparent. As you can guess, the taskbar transparency customization gives you a great deal of flexibility when it comes to visual customization. So, without further ado, let me show you how you can make the transparent taskbar in Windows 10. Since Windows has no built-in tool or options to increase the taskbar transparency, we are going to use a free and open source application called TranslucentTB. I've recently discussed TranslucentTB as it quickly became one of my favorites to customizing the Windows 10 taskbar. You can either download and install TranslucentTB app (win32 version) from Github or from the Microsoft Store (UWP version). I generally prefer the Microsoft Store version as it makes installing, uninstalling and updating apps easy and painless. 1. First, open Microsoft Store on Windows 10, search for TranslucentTB and click on the "Install" button. This action will install the app. Alternatively, you can download the regular win32 app from here. The store and win32 apps are identical, both in look and functionality. 2. 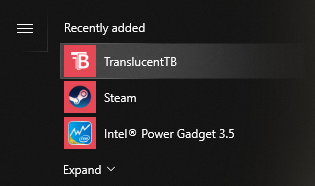 After installing, launch the TranslucentTB app from the start menu. 3. Now, right-click on the TranslucentTB icon appearing on the taskbar, go to "Regular" and select the "Clear" option. 4. This will make your taskbar completely transparent. i.e, 100% transparent taskbar. It is that simple to make the taskbar transparent in Windows 10. One thing to note is that the TranslucentTB app lets you set different modes for different situations like when you maximize a window, when you open the start menu, when you open Cortana, etc. 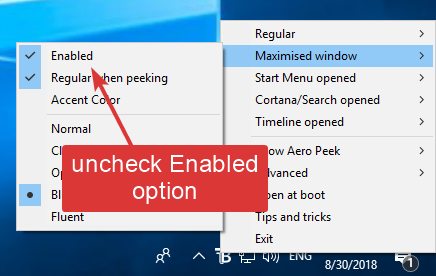 To make the look consistent, I recommend you to disable all these options so that no matter where you are or what you are doing, the taskbar stays transparent. To do that, right-click on the TranslucentTB app, go to "Maximized window" and uncheck the "Enabled" option. Go through the other options like Start Menu opened, Cortana/Search opened, Timeline opened and do the same thing. This is how it should like once you disable other settings in the TranslucentTB app. 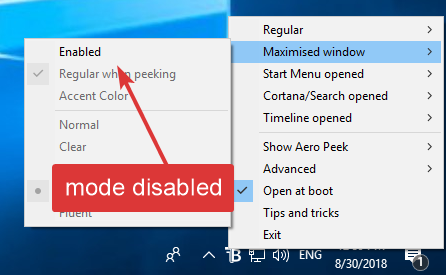 This ensures a consistent transparent taskbar look in Windows 10. That's all there is to do. Hope you like the app to make Windows 10 taskbar transparent. Comment below sharing your thoughts and experiences about using the app to make taskbar transparent in Windows 10.